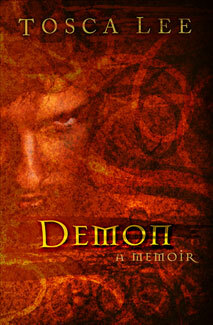 I took advantage of a free download of Tosca Lee’s first book, Demon: A Memoir. This is a limited time offer so get the PDF or eBook now. Creation was not like this because God is not like this. The creation was the most incredible, finely-tuned, organized, and micro-managed event that has ever been. Astronomers have proven this over the past decade through a number of impressive discoveries culminating in a photograph of the background radiation of the universe. This photograph is highly uniform and homogenous which tells astronomers many things about the beginning including the high degree of complexity and organization involved. In other words, God was intimately involved in the creation of the universe. He setup all the laws of physics that govern the world and the universe He created has stayed true to them from the beginning. Mind, it’s difficult to even talk about these things without using scientific terms. God certainly didn’t call the laws He setup the physical laws. Human scientists gave them that name after their discovery. But I digress. A single blog post is not a place to expound on this. Whole books exist to that end. Note also that I’m not trying to minimize the emotional component of this creative act. It’s a false choice to think that something must either be felt or planned exclusively. It’s just that God is bigger than that. He’s certainly an artist based of the high level of creativity displayed throughout creation, yet creation follows mathematical principles and conforms to scientific laws at the same time. Certainly, creation was something beyond our comprehension but to say that “creation defies rationality, mathematics, and reason” is to miss out on God’s genius in those areas. Other than that, I’m enjoying the book.